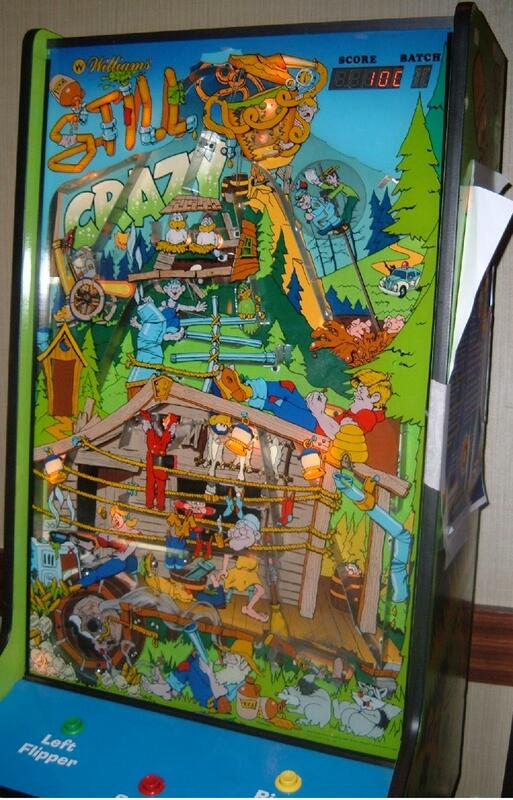 Description: Stir Crazy, Williams, 1984, cool vertical flipper pinball arcade game. Stir Crazy. Uses Williams system8 board set, with only two lamp matrix and two switch matrix rows/columns utilized. The system8 CPU board was made specifically for this game (no flipper enable relay.) Remember system8 was utilized only on Pennant Fever pitch and bat and this game. Still Crazy was deisgned by an outside group made up of Eric Erickson and Dan Langlois (who later worked as a Williams employee.) It appears Williams made up to 12 sample units of Still Crazy for location testing. Williams Still Crazy has multiple flippers. Current design (last revision) has two flipper buttons, which control two left and two right side flippers. 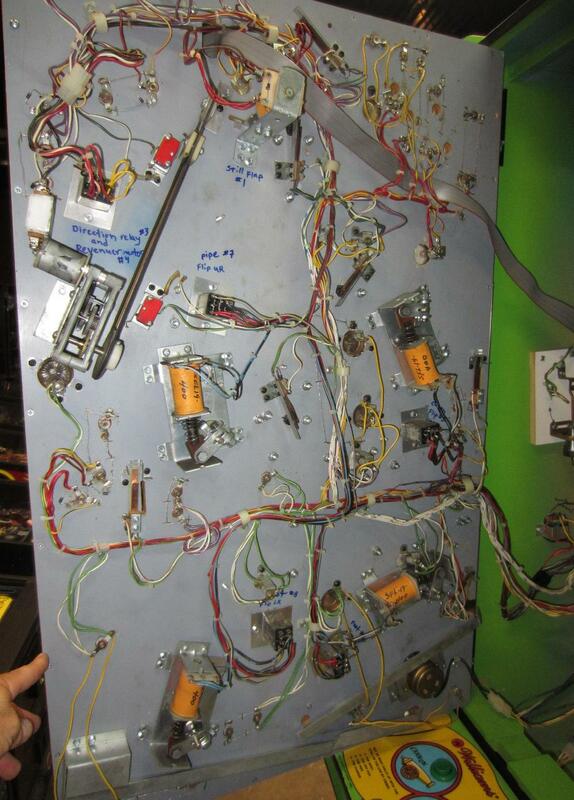 But originally was designed with four flipper buttons (one for each flipper). This thinking is Williams thought that was too difficult to play. 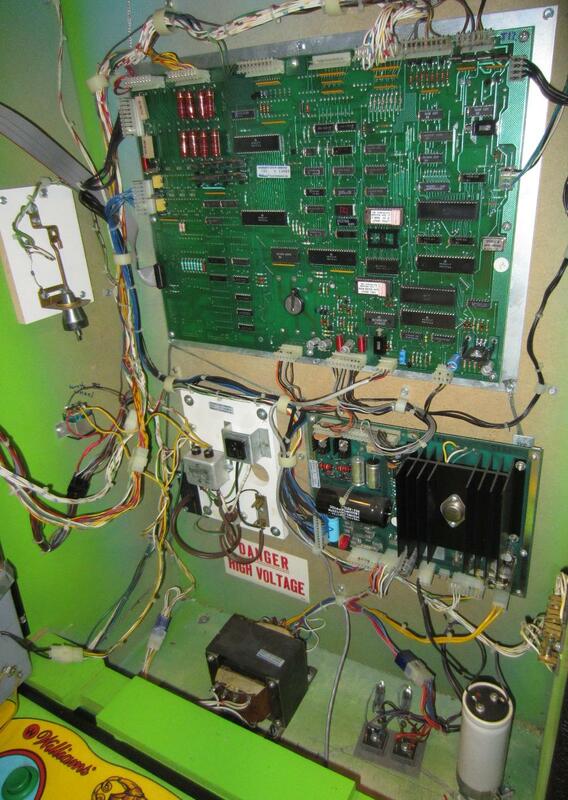 (Control panel is set up for four flipper buttons.) 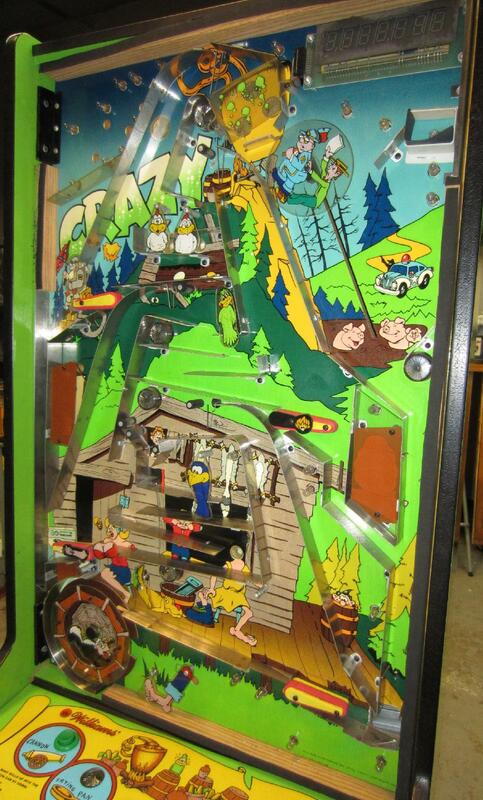 Object is to get as many 3/4" balls from the bottom of the playfield to the still at the top.